Dk Noisy Peekaboo: Toot! Toot! : 5 Lift-The-Flap Sounds! Noisy Peekaboo: Toot! Toot! : 5 Lift-The-Flap Sounds! 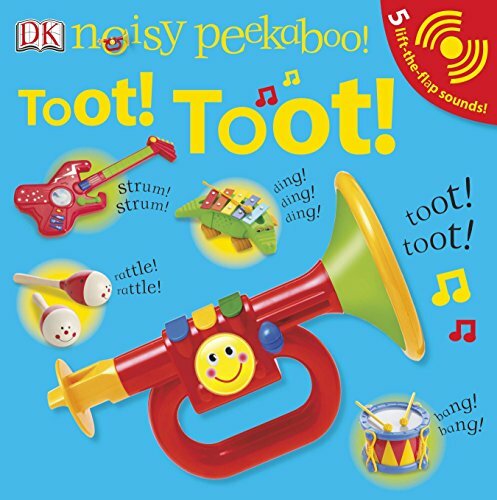 With entertaining sounds, Noisy Peekaboo: Toot! Toot! features five musical toys hiding under the flaps: a tooting trumpet, a monkey, a drumming teddy, some smiley shakers, and a xylophone crocodile.